Don’t miss this week’s School Open Houses we’ve listed below. This is NOT the full Open House listing for each school or school system – it’s just this week’s. 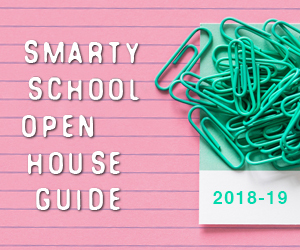 For our full listing of open houses, please see our 2018-19 Smarty School Open House Guide. Traditional in design and values, innovative in implementation and execution – that’s Latin. From our Founders’ vision in 1970 to create an inclusive school where academic excellence is encouraged, leadership is cultivated, liberal arts are valued and phonics-based reading is essential, Latin has educated thousands of students in the importance of learning, citizenship, service to others, hard work and Honor Above All. – Latin is a safe place for children to express themselves and learn. Each students at Latin is known as an individual and as a member of our school family. – Relationships are key. 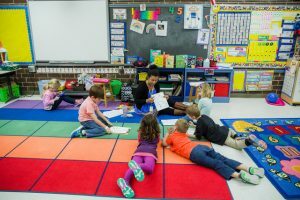 Our faculty and staff teach, coach, encourage, support and care for our students. -Latin partners with parents to provide a moral community that counter-balances contemporary culture. We believe in keeping children appropriately young. – Academic excellence and highly-skilled teachers are the foundation of our school. – We value diversity and inclusion. Latin was the first independent TK-12 school in Charlotte to open integrated. Join us for Look@Latin presentations. These are small groups that take a closer look at Life@Latin. Learn more about Look@Latin and register for this event. Smarty Giveaway for your Staycation – Carowinds!